If you had any doubt that the cloud has become mainstream, yesterday’s announcement that Sage and Salesforce have inked a global partnership to bring Sage small business accounting and payroll solutions onto the Salesforce 1 Platform should erase them. The partnership brings together opposite ends of the software universe. 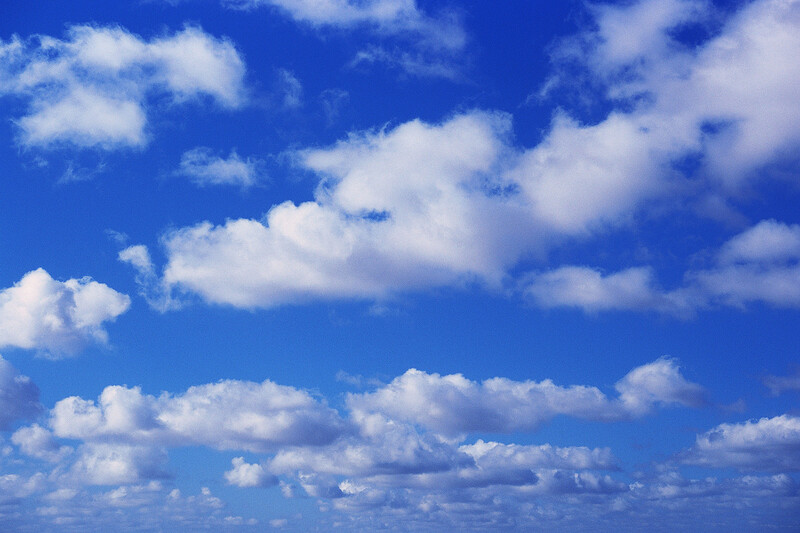 It pairs Salesforce, pioneer and poster child for the cloud, with Sage, which has arguably been one of the slowest software vendors to embrace cloud computing. While Marc Benioff’s Salesforce posted 26% revenue growth in it’s recently close fourth quarter, Sage posted growth of 6.2%. Not to mention the rumors of Salesforce potential value as a $50B to $60B acquisition target to a still unidentified bidder. Sage Life is aptly named, as the partnership offers Sage the potential to breath new life into a its product lineup with a cloud solution better tuned to the needs of today’s small businesses. Sage Life provides unified accounting, financials and payroll in a cloud based, customizable solution. The solution is mobile ready, and can be used on any device, from smartphones to smart watches and from tablets to the desktop. The real time, unified data view and social functionality enable collaboration between employees, customers, partners and other constituents. Coupled with Sage’s strong understanding of small businesses, the partnership infuses Sage with a credible foundation to attract new customers to its fold, which has been a notoriously difficult feat for the vendor to achieve over the past several years. By providing a modern, integrated small business solution that also integrates with Salesforce CRM, Sage is aiming to solve the integration challenges that so many small businesses struggle with (Figure 1). 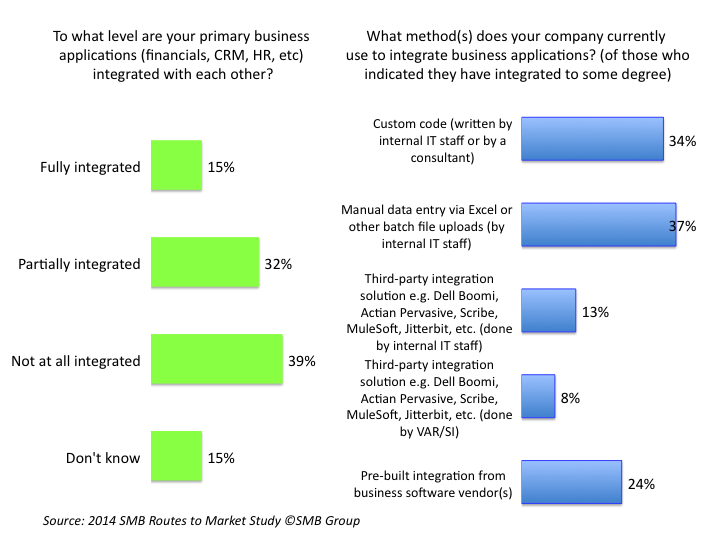 As indicated, roughly 40% of small busnesses (1-100 employees) have not done any business application integration. And, among those who have, 71% use unwieldly, unscalable custom coding or manual methods to accomplish the task. The relationship is complementary to Salesforce’s investment in and partnership with FinancialForce, which is also built on the Salesforce 1 Platform, but is geared towards midsize businesses. Sage provides Salesforce with a similar, integrated front and back office story for small buisnesses—and perhaps a possible investment opportunity as well. Already a leader in corporate philanthropy, Sage has also joined Pledge 1%, perhaps cementing a stronger bond. Based on a Salesforce’s 1-1-1 model, Pledge 1% encourages individuals and companies to pledge 1% of equity, product, and employee time to their communities. In the tech world, the initial announcement is all too often the climax of the partnership. While it’s too early to tell if this one will blossom beyond the honeymoon phase, it’s certainly in Sage’s best interest to make the relationship work, as it’s future growth will be heavily dependent on this new offering. Meanwhile, Salesforce, which has arguably become less in tune with small business as it has moved up into the large enterprise space, stands to benefit from Sage’s small business knowledge and customer base.